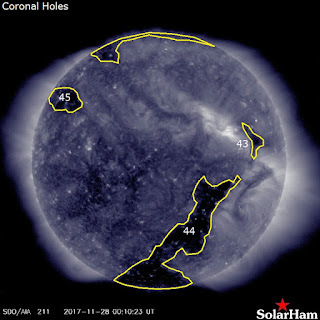 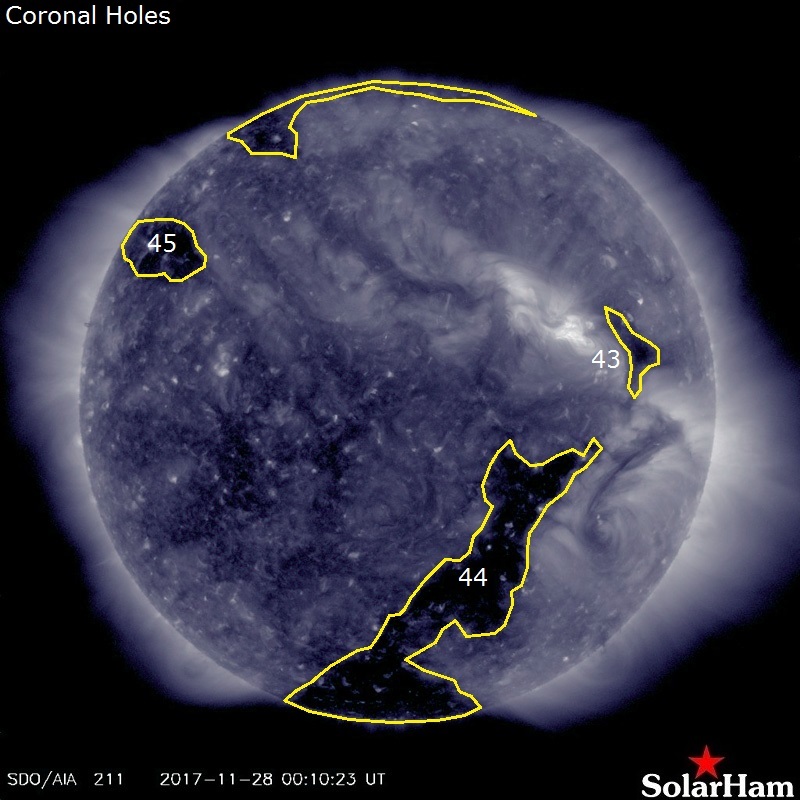 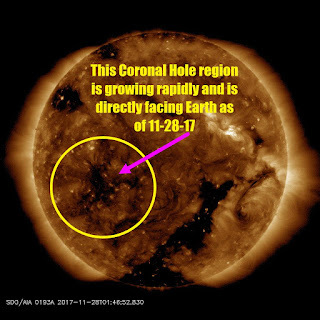 NOAA forecasters say there is a 55% chance of G1-class geomagnetic storms on Nov. 29th when a CME is expected to sideswipe Earth's magnetic field. The solar storm cloud was hurled in our approximate direction by an exploding magnetic filament on Nov. 25th. 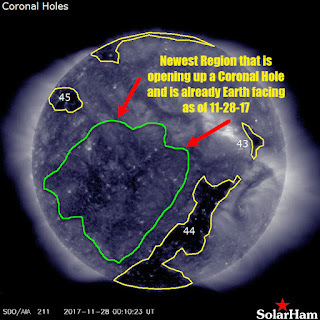 Arctic sky watchers should be alert for auroras when the CME arrives.